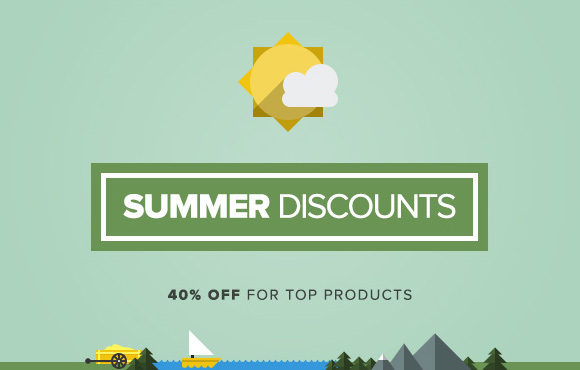 Summer Discounts for Bestselling Products: 40% OFF! We have decided to run an unprecedented end-of-summer promotional – a discount coupon for 20%-40% Off Designmodo’s bestselling products. We would like everyone to try our products, and help you create new projects. For one week, you will be able to buy a developer’s license for our three flagship products: Flat UI Pro, Square UI and The Bricks UI, at the reduced price.